13&9 received the Born Global Champion Award by Advantage Austria at the Austrian Federal Economic Chamber, which honors companies founded after 2010 that offer innovative products or services and achieve quick international success. Representing the spirit Austria requires to maintain international competitiveness moving forward, 13&9 was among the honorees. Their success is due to partnerships with international brands such as Robert La Roche, Wever & Ducré, XAL, Viteo Outdoors, Artifort Lande Group and Mohawk Group, as well as the collaborations with local manufacturers and sustainable design concepts for its private label. The firm has received global acclaim at international exhibitions, in media, and at awards for its multifaceted achievements in design services as well in the production management in lighting, furniture and fashion accessories since it was founded in 2013. 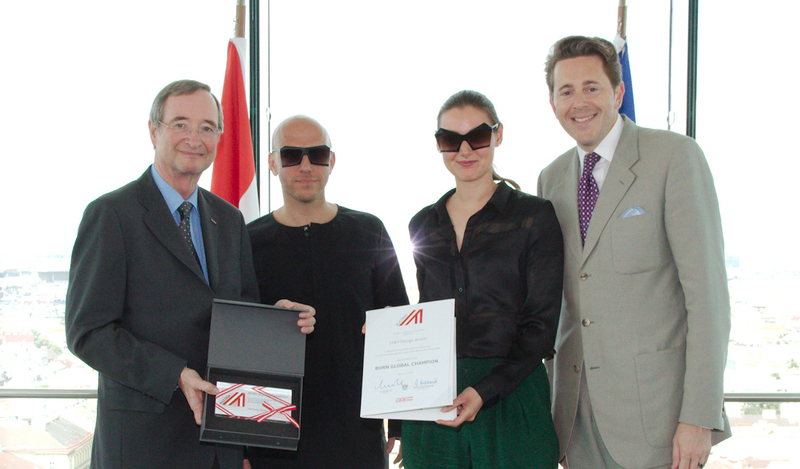 13&9 thanks to the team, collaborators as well to Advantage Austria and the Austrian Federal Economic Chamber.